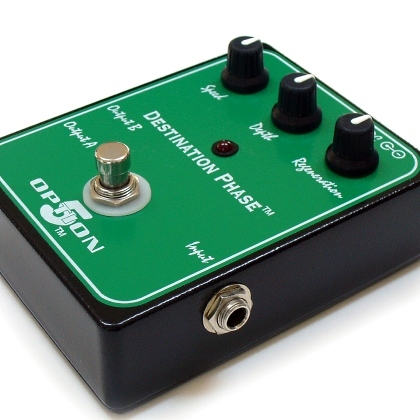 The Destination Phase stereo phase shifter is constructed of all analog circuitry. Features include True, panning, stereo phase shifting, distortion free peaks, wide range of Speed control, and non tone altering Depth control. True, panning, stereo phase shifting. Non tone altering Depth control.